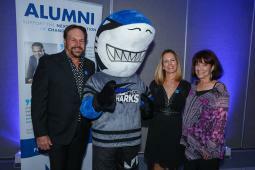 I am so incredibly honored to announce that my alma mater, Miami Dade College, inducted me into the Alumni Hall of Fame Tuesday night. The college opened its doors 58 years ago. Since then, Miami Dade College has produced some verytalented and driven alumni, and I was thrilled to be included in their ranks. Miami is a city full of sunshine, and I couldn't have spread as much love without the education and skills I got in college. Thanks for including me in a group of successful, amazing individuals! I'm grooving with the best of the best, now! Watch video of the awards below!